The adventures of 26 lively letters who can make words come to life. When they find a musical rainbow, the Alphablocks sing and dance their way to a multicoloured land. Browse content similar to Rainbow. Check below for episodes and series from the same categories and more! 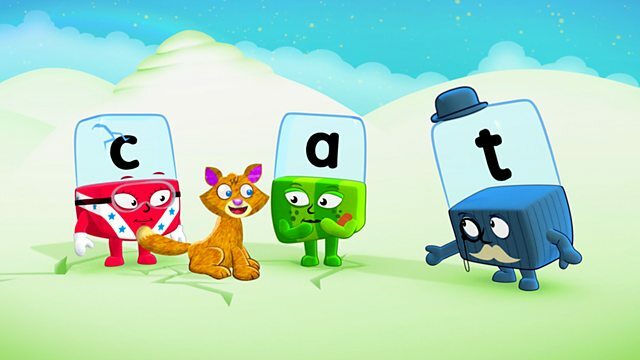 # Are you ready for some fun with the Alphablocks? Sss sss. Ss-ss ss-ss s.
-Good grief, O. You've gone all green. -Let's go and see what it is. Oh, oh oh-oh oh oh oh? Oh-oh oh-oh oh oh oh ohoh. Got to get across. Who's going to help? F AND G: Got you! When they find a musical rainbow, the Alphablocks sing and dance their way to a multicoloured land, but how can they cross the rainbow river to get to the pot of gold? This episode has fun with a host of letters and the words wet, run, fun, sun, dog, fog and log.